David Allen Meltzer  (born October 24, 1959) is an American tabloid writer known for covering professional wrestling and mixed martial arts. The National Sports Daily, simply referred to as The National, was a sports-centered newspaper published in the United States beginning on January 31, 1990. 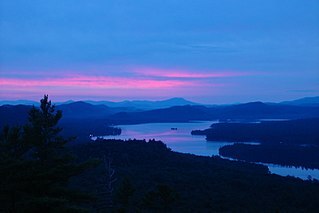 The newspaper was based in New York City, was printed in a tabloid format, and was published Monday through Friday. 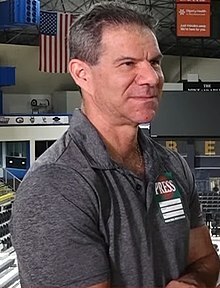 Meltzer was born in New York City,[ citation needed ] and lived in upstate New York  until he was ten,[ citation needed ] before his family settled in San Jose, California. [ citation needed ] Meltzer earned a journalism degree from San Jose State University and started out as a sports writer for the Wichita Falls Times Record News and the Turlock Journal . He demonstrated an interest in professional wrestling and a journalistic approach to it early in life. Meltzer wrote several wrestling-related publications that predate WON, dating back to 1971. The most notable of these was the California Wrestling Report, ca. 1973–1974, which reported on the still-extant National Wrestling Alliance territories operating out of Los Angeles and San Francisco. James Mark Cornette is an American podcaster and has worked in professional wrestling business as a booker, commentator, manager, and occasional professional wrestler. He is currently working with Major League Wrestling (MLW) as a color commentator. Meltzer has also given ratings that have exceeded five-stars. The first match Meltzer has given a rating that was above five-stars was Mitsuharu Misawa vs. Toshiaki Kawada from a June 3, 1994 All Japan show. The highest he has ever rated a match was seven stars (*******), given to Kazuchika Okada and Kenny Omega for their match at Dominion 6.9 in Osaka-jo Hall in June 2018. Stewart Edward Hart, was a Canadian professional wrestler, wrestling booker, promoter, coach and trainer, football player, amateur wrestler, and sailor. He is best known for founding and handling Stampede Wrestling, a professional wrestling promotion based in Calgary, Alberta, teaching many individuals at its associated wrestling school "The Dungeon" and establishing a professional wrestling dynasty consisting of his relatives and close trainees. As the patriarch of the Hart wrestling family, Hart is the ancestor of many wrestlers, most notably being the father of Bret and Owen Hart as well as the grandfather of Natalya Neidhart and David Hart Smith. Yoshihiro Takayama is a Japanese professional wrestler and mixed martial artist. Debuting for UWF International in the 1990s, Takayama joined All Japan Pro Wrestling (AJPW) in 1997 after UWF-i folded. In 2000, he joined Pro Wrestling Noah, and later became a mainstay in New Japan Pro Wrestling (NJPW) where he arguably achieved his greatest success, holding the IWGP Heavyweight Championship and NWF Heavyweight Championship simultaneously in 2003. He is one of only two men to hold all three of puroresus major heavyweight titles, the other being Kensuke Sasaki. Toshiaki Kawada is a Japanese semi-retired professional wrestler who is most known for his work in All Japan Pro Wrestling (AJPW). In 2005, he started freelancing in other promotions. William F. Watts Jr. is an American former professional wrestler, promoter, and WWE Hall of Fame Inductee (2009). Watts was famous under his "Cowboy" gimmick in his wrestling career, and then as a tough, no-nonsense promoter in the Mid-South United States, which grew to become the Universal Wrestling Federation (UWF). Kevin Foote is an American sportscaster, radio host, and professional wrestling color commentator, executive, manager, pundit, and former ring announcer, better known by his ring name Kevin Kelly. Foote has worked as an English-language commentator for New Japan Pro-Wrestling since 2015. He previously worked for WWE from 1996 to 2003 and Ring of Honor (ROH) from 2010 to 2017. Masanobu Fuchi is a Japanese professional wrestler currently signed to All Japan Pro Wrestling (AJPW), where he is also a director and the co-head booker. Fuchi has exclusively worked for All Japan since his debut in 1974, and holds the record for the longest World Junior Heavyweight Championship reign at 1309 days. Fuchi became a freelancer in 2009, but officially re-signed with AJPW in 2013 as both a director and wrestler, making him the longest tenured member of the All Japan roster. Wrestle Kingdom VI in Tokyo Dome was a professional wrestling pay-per-view (PPV) event produced by the New Japan Pro-Wrestling (NJPW) promotion, which took place at the Tokyo Dome in Tokyo, Japan on January 4, 2012. It was the 21st January 4 Tokyo Dome Show and the sixth held under the "Wrestle Kingdom" name. This was the final Wrestle Kingdom where a Roman numeral was used as part of the event's name. 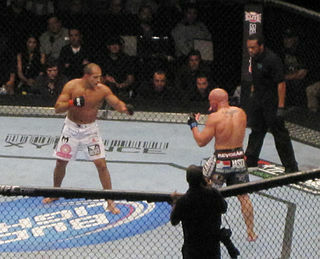 The event featured twelve matches, three of which were contested for championships. Wrestle Kingdom is traditionally NJPW's biggest event of the year and has been described as their equivalent to WWE's WrestleMania. King of Pro-Wrestling (2012) was a professional wrestling pay-per-view (PPV) event promoted by New Japan Pro-Wrestling (NJPW). The event took place on October 8, 2012, in Tokyo at Ryōgoku Kokugikan. The event featured nine matches, five of which were contested for championships. This event marked the first time a NJPW PPV could be bought outside Japan, through Ustream. It was the first event under the King of Pro-Wrestling name. War of the Worlds is a professional wrestling supershow co-produced by the American Ring of Honor (ROH) and Japanese New Japan Pro-Wrestling (NJPW) promotions. 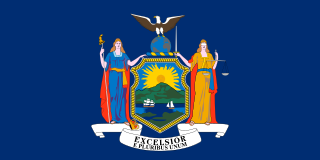 The two promotions announced a partnership in February 2014, which led to the first War of the Worlds event taking place at the Hammerstein Ballroom in New York City the following May. In 2015, ROH and NJPW presented two War of the Worlds events, both taking place at the 2300 Arena in Philadelphia, Pennsylvania in May. In 2016, War of the Worlds took place over three shows in Dearborn, Michigan, Toronto and New York City, with Philadelphia added to the tour in 2017. 2017 also saw the first War of the Worlds UK tour, for which ROH and NJPW partnered with the Mexican Consejo Mundial de Lucha Libre (CMLL) and British Revolution Pro Wrestling (RPW) promotions. The Champion Carnival is a professional wrestling tournament held by All Japan Pro Wrestling (AJPW). The tournament is also known by the nickname Haru no Saiten and is sometimes abbreviated to CC. Created by AJPW founder Giant Baba, the tournament has been held annually since 1973 and is the longest-running singles tournament in professional wrestling, while also ranking as the most prestigious event in the AJPW calendar. It is considered a successor to the World League, held by Japan Pro Wrestling Alliance (JWA) between 1959 and 1972, predating the New Japan Pro-Wrestling (NJPW) G1 Climax tournament by a year. Larry Matysik was an American professional wrestling commentator, promoter and author best known for his commentary on Wrestling at the Chase. ↑ Wrestling Professor, The (November 17, 2004). "Pick My Brain Interview: Dave Meltzer". The Armpit. Retrieved November 21, 2017. 1 2 3 Laprade, Patric (July 18, 2016). "Melby Award for Meltzer proper recognition for pioneering work". Slam! Sports. Canadian Online Explorer . Retrieved July 22, 2016. ↑ Rossen, Jake (2013-05-15). "In World of Wrestling, Trying to Keep It Real". The New York Times . Retrieved 2013-05-18. ↑ "Lecture by guest speakers Mike Church and Dave Meltzer in Prof. George Foster's class in SearchWorks". 1 2 "Dean S. Planet's Celeb Interviews". Dean S. Planet's. Archived from the original on 2003-08-03. Retrieved 2007-07-11. ↑ Benaka, Lee (1991). "The Lee Benaka Interviews - Dave Meltzer". Benaka, Lee. Death Valley Driver Video Review. Archived from the original on 2007-07-30. Retrieved 2007-07-11. ↑ Cornette, Jim. "STARS IN THEIR EYES--FSM#138". JimCornette.com. Retrieved November 21, 2017. ↑ Bixenspan, David. "Rating Pro Wrestling's New "Best Match Ever" Is Way More Contentious Than It Needs To Be". Deadspin. Retrieved November 21, 2017. ↑ "Dave Meltzer on Twitter: "Misawa vs. Kawada"". Twitter. January 5, 2017. Retrieved November 21, 2017. ↑ "Congratulation to Dave Meltzer, the 2017 James Melby Historian Award Winner". Cauliflower Alley Club. December 20, 2016. Retrieved November 21, 2017.